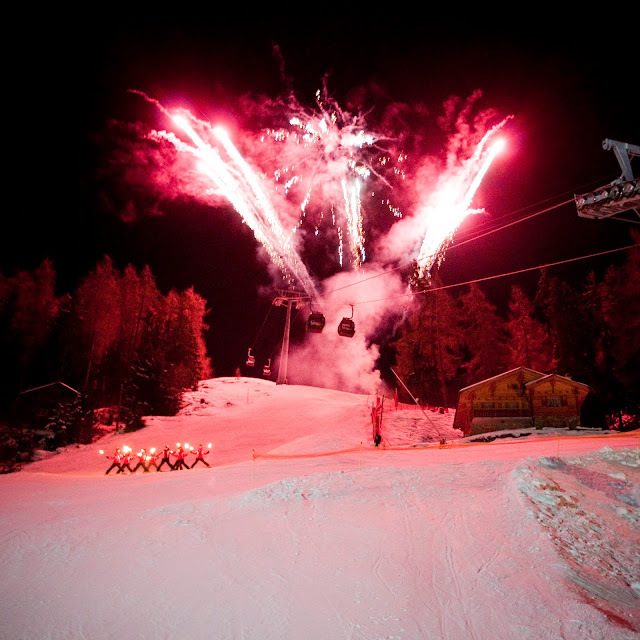 Although New Year is all about celebrating - the past year and, of course, the continuing ski season! - one of the main thrusts is anticipating what's coming next. That's why we all make New Year's Resolutions: start diets, make use of the gym membership, save rather than spend, recycle more, and generally 'house-clean' our lives in physical, mental and emotional terms. 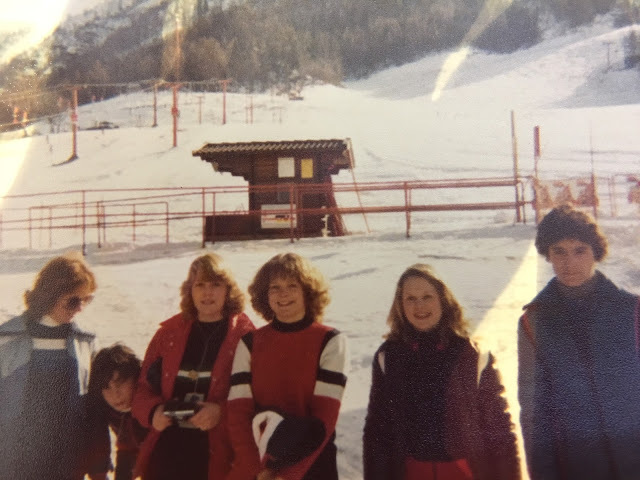 In the past I have written lots of skiing/riding resolution articles, encouraging everyone to get on the slopes more, use their season passes fully, and benefit from all that fresh air and outdoor exhilaration. These still stand for me every year - and I would counsel you all to make use of mega mountain moments while you can. Especially with all those January deals around at resorts and especially at ski schools as January is Learn to Ski and Snowboard Month. However, this year, I'm getting a bit more longterm in my thinking, having focused recently on a cause I don't think any of us skiers and snowboarders can ignore any more. If you've seen Leonardo DiCaprio's daunting documentary Before the Flood, then you, too, might be slightly anxious about more than just 2017. This film is not about ski hills or the future of skiing per se, but about the future of the entire world as a suitable habitat for humanity. But, with my more narrow (admittedly selfish) skiing lens, my take on it is this: is there anything I can do to help preserve for future generations the wonderland of wintersports that I have been privileged to experience since I first set foot on skis in 1972? DiCaprio's compelling three-year crusade to create awareness of the urgent need to counteract global warming is outlined in the film, along with what is the best bit for me: several simple scientific solutions that we skiers and snowboarders - along with everyone else - can do to reduce our carbon ski-boot print. Some of these are way beyond the individual, of course - eg setting up 100 gigafactories (like Tesla's Nevada prototype due to open in 2020) which would supply the whole world with all its energy, eradicating the need for fossil fuels. Perhaps we'll get the opportunity to campaign and vote for this sort of thing, at some point? But others are small enough for anyone to take on in daily life. And the outcomes could be significant in changing the course of climate change if enough of us adopt them. These include giving up beef (since beef rearing takes up way too much deforested land compared with other foods). This is advocated in the documentary by Gidon Eschel - professor of environmental science and physics at Bard College, New York - who explains that beef is 10 times more damaging to the environment than other meats, and alone is responsible for a staggering 10-12 % of US emissions. I've also read about this in The China Study, an amazing early insight into some of the global food and health problems we are now experiencing. But, back to giving up beef: such a simple solution all within our own power to implement and no need to resort to tofu! We can still eat poultry and other meats, Eschel maintains. 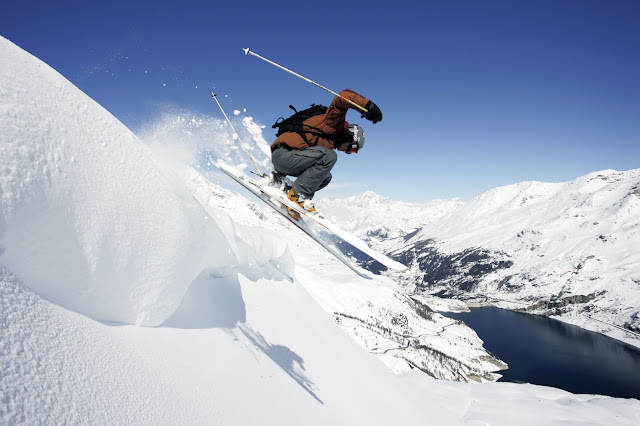 By the way, have you ever skied on a plant-based diet? You would be amazed at the amount of afternoon energy you have compared to when you scarf down a meaty cheese fest at lunchtime! And, you'll notice, there is definitely a trend towards more healthy eating in ski resort restaurants, including gluten-free, lactose-free, vegan, vegetarian, etc. In fact I am working on article about ski hill food and nutrition needs for skiers at the moment. Not sure how many global warming naysayers there still are out there, but I just read about a new project in Tignes - one of France's top glacier skiing areas - where they are building an 400-metre indoor ski slope at an altitude of 2000 metres above sea-level to help combat the effects of climate change at the resort. I think that the 62 million Euro project pretty much confirms that they think that global warming is happening! 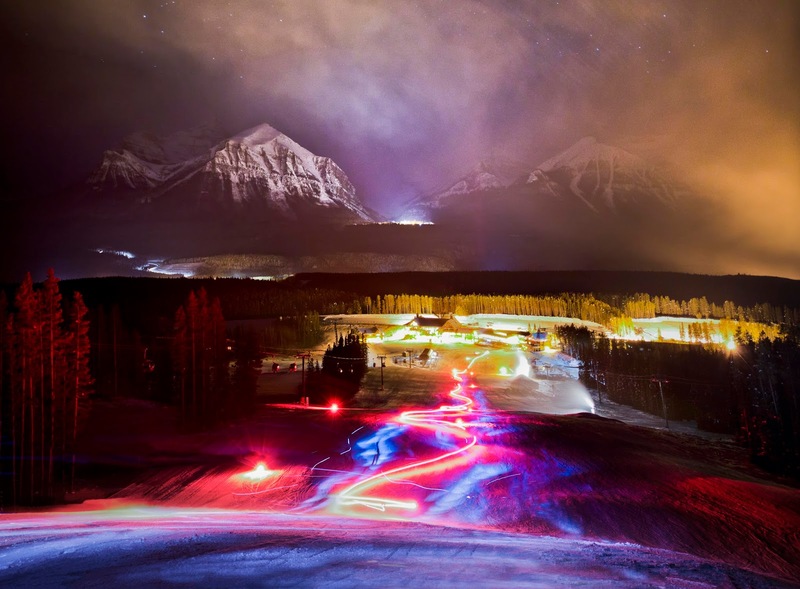 This is especially noticeable at a ski resort with an eleven-month season, which opens glacier runs throughout the summer for athlete training. 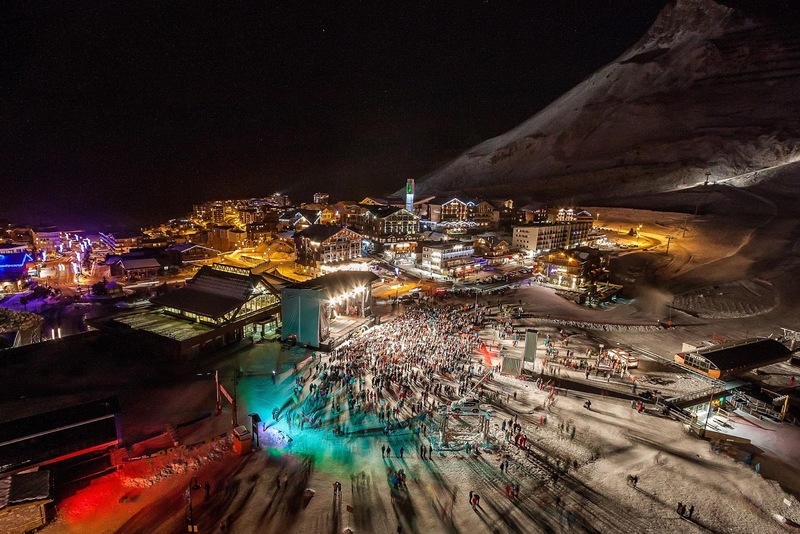 The indoor project could return the resort to all year skiing, which it used to offer until the Grand Motte glacier started shrinking. Back to my New Year's Resolution then: it's all about how I can start to set a better eco example, trying not to ostrich-like put my head in the (oil)sands, and doing my bit to help save our snow for future generations. We've already gone down to a one (very small, economical) car family and intend to upgrade to an even more sustainable car in the near future as well as investigate the possibility of solar power at home - and I'm giving up beef from Jan 1. If you're interested in the climate-change cause, too, you can check it out at: https://www.beforetheflood.com/act/. And you can read more about the subject at: http://protectourwinters.org/, http://www.alisongannett.com/save-our-snow/save-our-snow-foundation/ and http://www.themountainpact.org/. And I am sure there are many other similar groups out there. Happy & Healthy New Year to you all with lots more skiing and snowboarding for 2017 and beyond! Christmas is such an emotional, exciting and pivotal point of the year, isn't it? So many memories stretching back to our earliest experiences, each Dec 25 marking off turning points in our lives, careers and relationships. 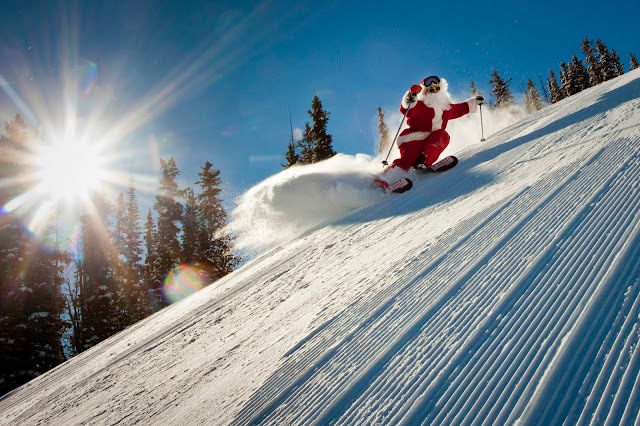 For me, the ultimate Christmas has always been spent skiing, with majestic mountains framing frivolity and festivities with family and friends. For the past 24 winters, my husband Simon, sons Rupert and Fergus, and I have spent the holidays in various ski resorts, but particularly Verbier in Switzerland - where I spent much of my 20s and 30s - and for the past 17 winters the beautiful Banff Lake Louise area in Canada. 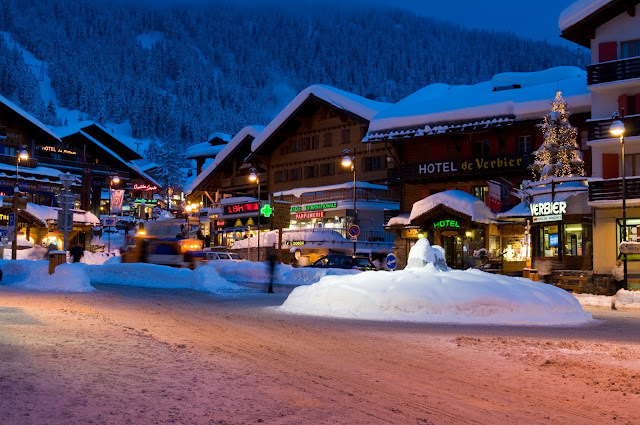 The attractions in Verbier included the immense ski-scape covering four valleys with incredible off-piste areas, glacier and itineraries, the quaint and hospitable Hotel de Verbier right in the town centre where we always stayed, and the sensational Swiss cuisine - fondues and raclettes are still my fave food! One day I will get back there, I hope, to see what has changed and what has endured in my 17 years of absence. I still have friends there thanks to the internet and this blog! which I make for the Dec 25 table setting. I love browsing through the decorations in the Banff Christmas shop and marveling at the opulent ornaments in various hotels - particularly The Post and Deer Lodge at Lake Louise. 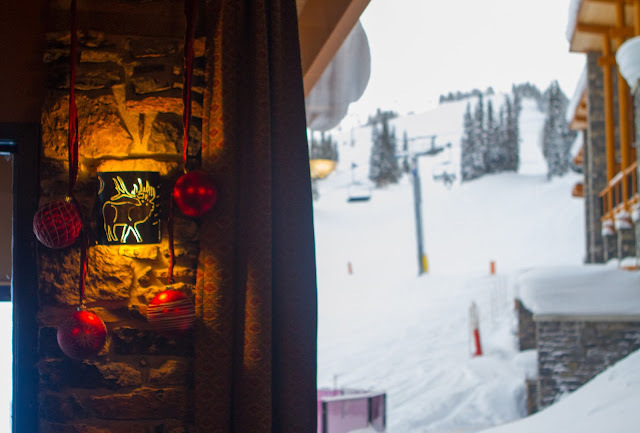 A decadent dinner at Deer Lodge is also a hedonistic highlight after a downhill day: the elk and bison which come from their own ranch are highly recommended! 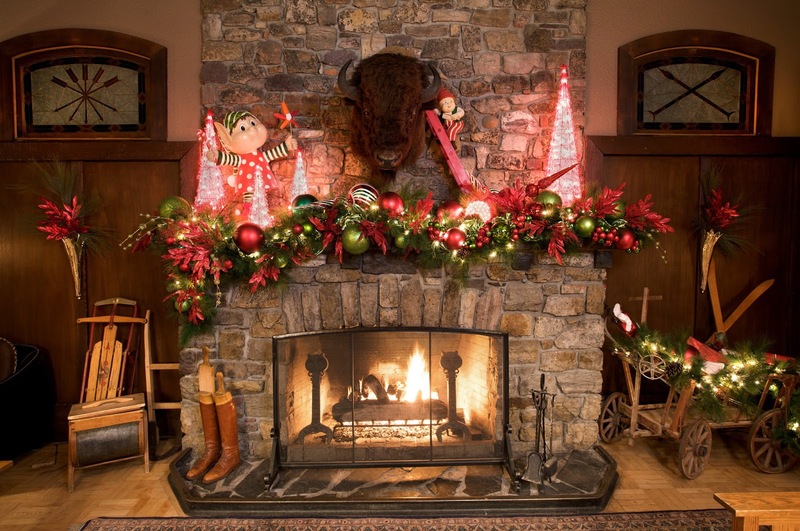 Actually Lake Louise Ski Resort does a great decor job, too, especially at the Lodge of the Ten Peaks - apparently, the Locke family who own Lake Louise put them all up themselves every year! Other holiday highlights for me include hot chocolate by skating rink firepits such as the one on the two-mile deep lake at the foot of Victoria Glacier at Chateau Lake Louise and sometimes at the Kananaskis Lodge near Nakiska. Although I am not a great skater, there is something about zooming around an outdoor rink in time to Christmas music that really sums up the season for me! Cold breath, icy nose, red cheeks, frozen hair - all these things I find invigorating as I trudge along crispy snow-covered hiking paths in Canmore to get to the shops, nightlife or friends' houses. The forested trails are so achingly beautiful, running alongside Policeman's Creek, criss-crossing it via whimsical wooden bridges with vivid views of the Three Sisters Mountains punctuating the tree-scape on clear days. Bundled up in Norwegian-style beanie, scarf, thick mitts, down jacket - and of course my secret weapons against the cold: Smartwool layers topped with my heated vest (from Volt)! - I am so happy and energized in the frigid, freezing environment. 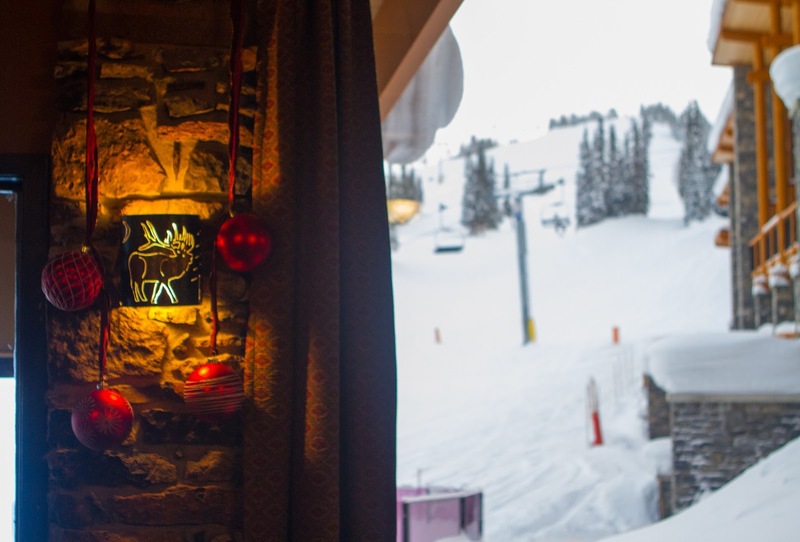 And, then, arriving at a cosy café or the inviting hearth of someone's home, what joy warming up by the fire and gradually peeling off all the layers in an ambient atmosphere of après ski appetizers! Other things I love about Christmas include carol singing which always brings back poignant pictures of wrapping up gifts with my sister while our mother instructed us on ribbon rolling and bow tying, at the same time teaching us her repertoire of carols. 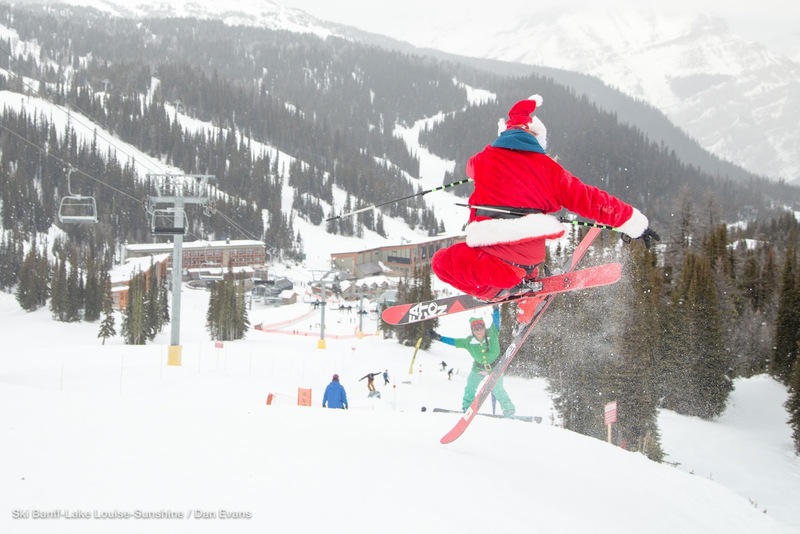 Decorating the tree and mantle, dressing up for festive dinners and parties, happy hours at the ski slopes, Canmore's plentiful pubs or friends' houses - all part of the mountain magic. on my right. Photo provided by Jackie Pountney on my left - Happy Memories! Then, of course, there's the skiing itself: the main mountain motivation! A non-skiing Christmas to me means too much eating and too little outdoor activity. And so I thrive on getting on the slopes as many days as possible in the uncrowded run up to Christmas - it can often be the best time of the holiday season since everyone else is preoccupied with preparations, work, shopping and cooking. 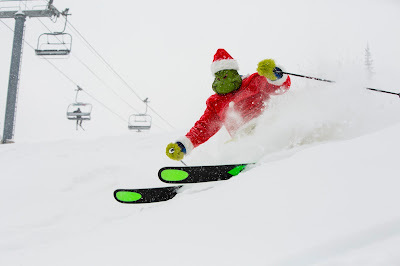 Christmas Eve and Dec 25 skiing is also magical - low on lift lines but full of festive spirit and an antidote to all the gourmet guzzling. 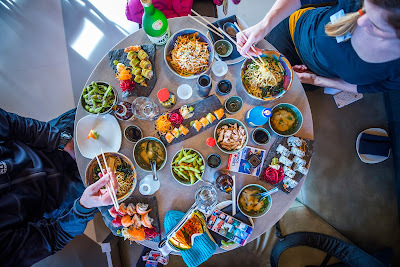 Our habit is to have a biggish breakfast on Dec 25, go to Sunshine Village for a four-hour or so sensational ski, stopping for a cosy coffee break in the Java Express, saving our appetite for a decadent dinner later. We always share the cooking with friends, so if it's our turn to do the turkey we put it on low in the oven before leaving and nurture it when we get back. And we tend to save present opening until after skiing now the boys are old enough to restrain their excitement! 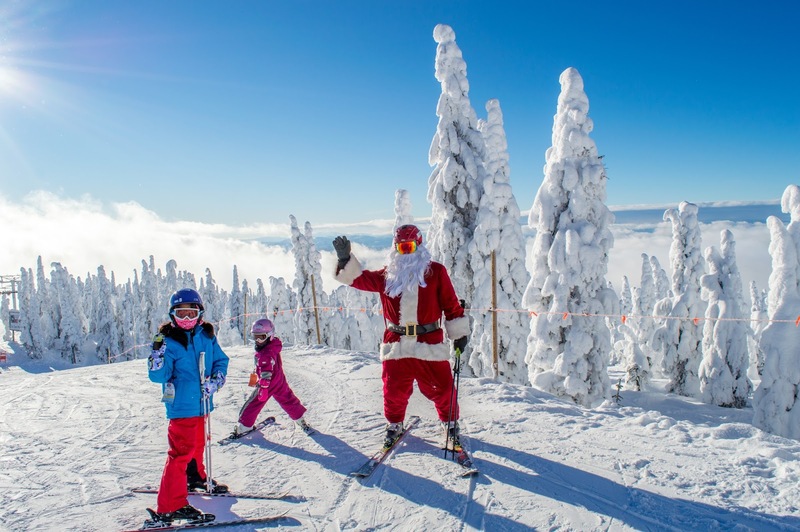 All over North America, ski resorts put together enticing itineraries of Christmassy events to perpetuate these kinds of magical moments. 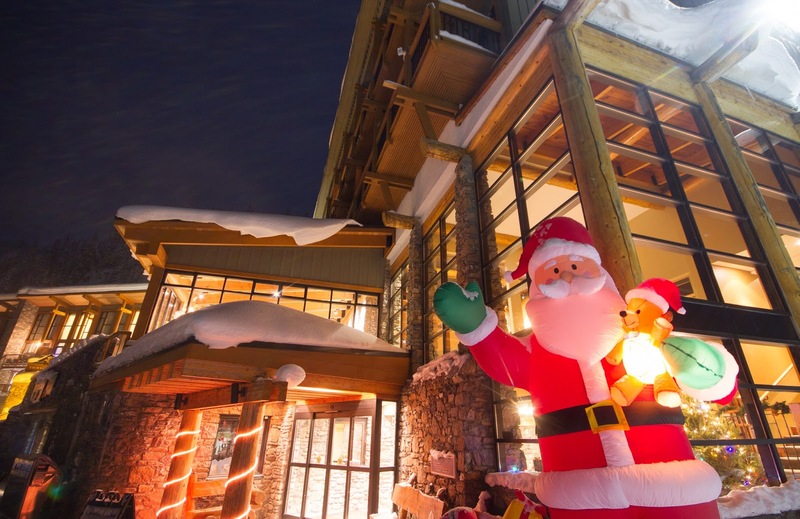 The Banff Lake Louise area excels at this with a full schedule kicking off Dec 8 with the Christmas Open Studios at the Banff Centre and culminating with a Torchlight Christmas Dinner and Ski at Lake Louise on Dec 25. In between, there are events such as the Bow Valley Chorus, Santa on the Mountain, Brunch with Santa, Photos with Santa, Christmas Carols with the Valley Winds Choir, Mountain Top Christmas at the Banff Gondola, Community Ski Days, CP Holiday Train, Santa Suite at the Fairmont Banff Springs, Ice Carving, Christmas Eve Torchlight Parade at Sunshine Village, and Santa Shredz for Free at Mt Norquay on Dec 25. 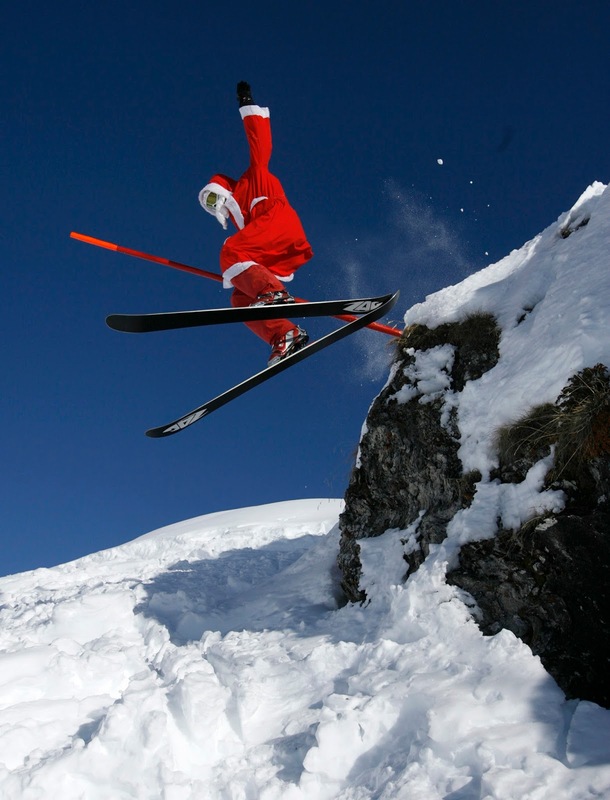 I would love to know how you spend your skiing or snowboarding Christmas. Feel free to send me photos and details at louise.hudson2011@gmail.com if you would like to be included in next year's Christmas articles. Here are an assortment of photos and links to help you decide where you would like to spend your perfect Christmas in the years ahead. Events include free ice skating, visits with Santa and reindeer, s'mores-making parties, art, ornament-making, stocking-decorating workshops. 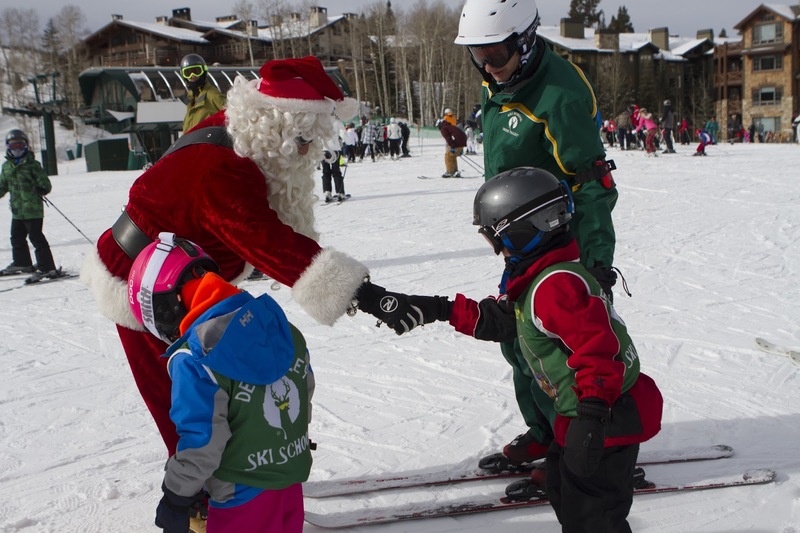 December 6-24, children can drop off their gift wishlists in Santa’s Mailbox. The Snowmass Sun will feature select letters in the weeks leading up to Christmas. 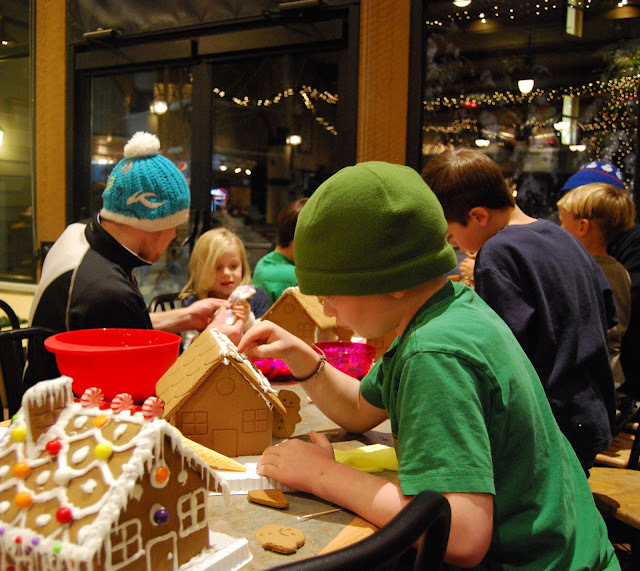 Annual tree lighting ceremony is Dec 10 with cookies, hot choc and carols. Free photos with Santa at his Magical Village Dec 21-24. 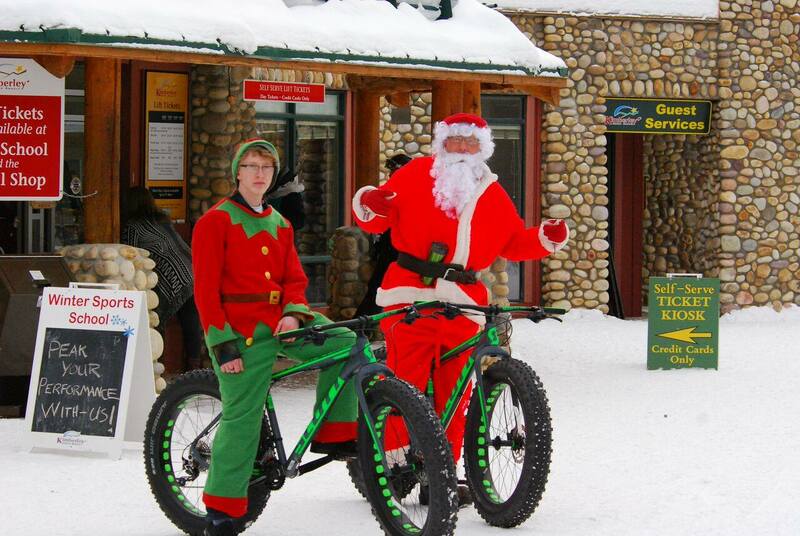 Where better to spend Christmas than The Post Hotel at Lake Louise? Set in one of the most beautiful National Parks in the world, it not only has Canadian comforts and high-standard service, but, owned by elegant and eclectic Europeans, it has that air of Alpine authenticity and finesse. General Manager, Geoff Booth greets all the guests, noting that come from as far afield as Florida, Texas, and New York along with regulars from Calgary and Edmonton. 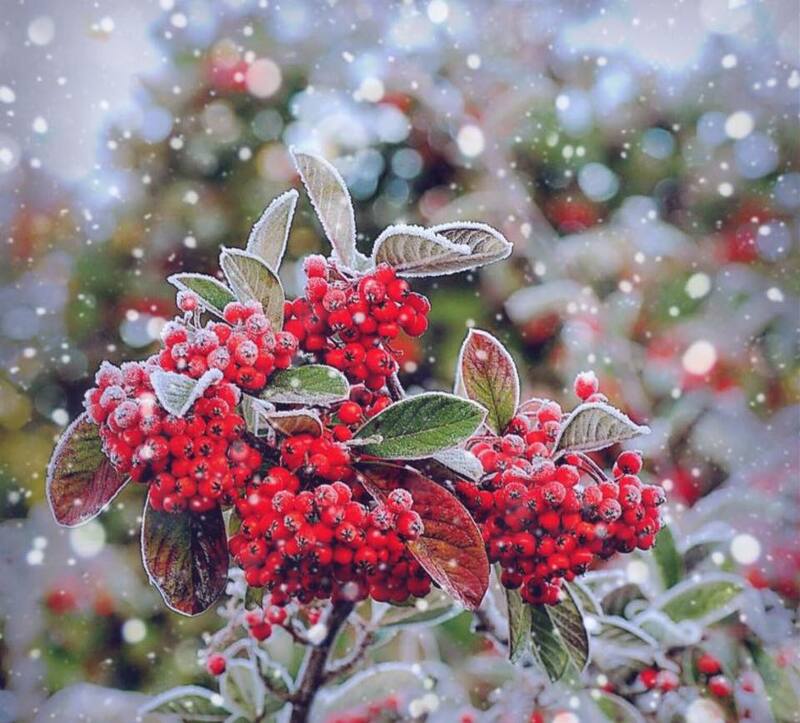 "The general atmosphere has been described as a quintessential winter wonderland," says Geoff. "Trees blanked in snow, twinkling lights, crackling fireplaces, families skating on the ice rink and the winter activities abound." These include downhill skiing, cross country, ice skating, snow shoeing, sleigh rides, and dogsledding. While the kitchen creates special festive menus for both Christmas Eve and Christmas Day, Geoff recommends trying the Fondue Stübli for a tantalizing taste of Austria. 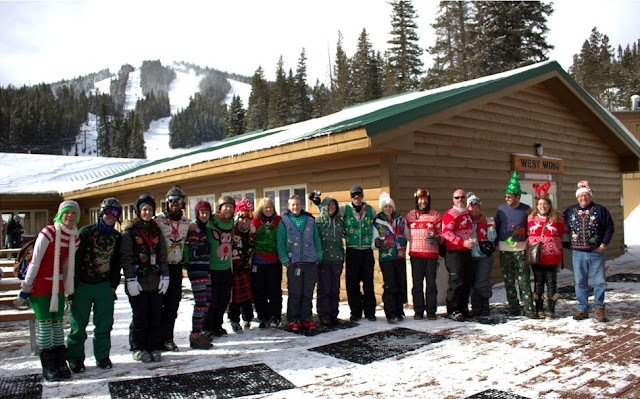 Calgary skier, Rod Green first spent Christmas at The Post 10 years ago. "My wife and I had been at The Post a number of times before but never for Christmas," he says. "I told her that after 35 years of her making Christmas dinner for the family that we were going to The Post for Christmas and if the kids wanted to join us that would be great. 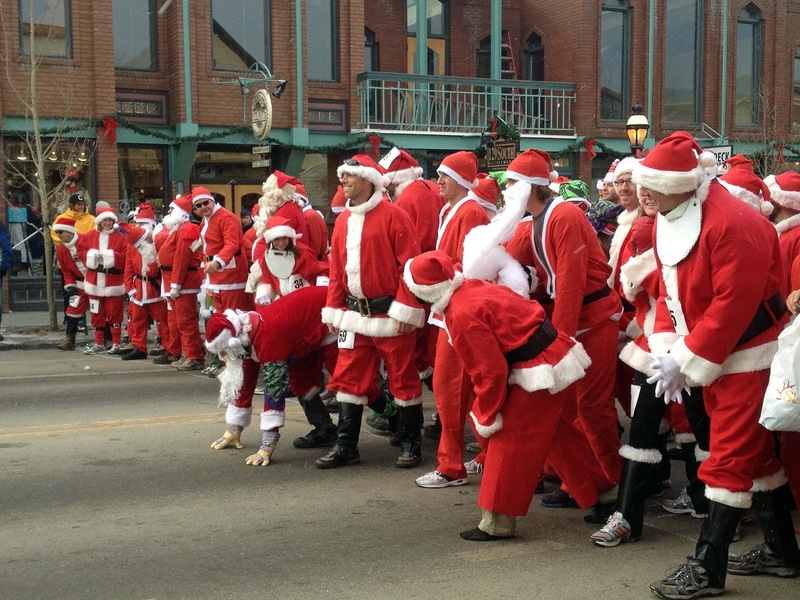 They did and we've continued with that tradition of a Post Christmas." Morph to today and they are planning their eleventh Christmas there along with kids and grandchildren. Arriving Dec 4, they typically spend four days over Christmas combining all the local wintersports on offer. 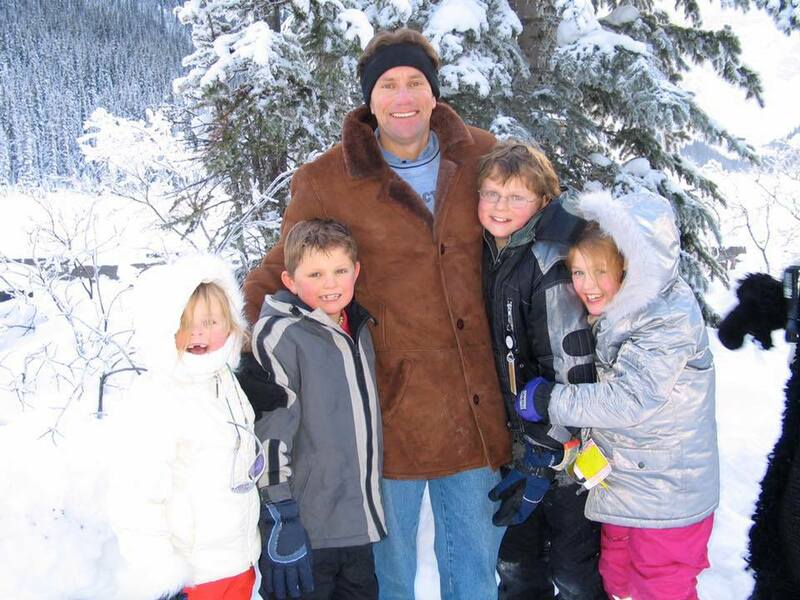 "I have to say after staying there over 20 years and 10 for Christmas it has become like a second home to us," Rod says. "From the moment you leave your car with the bellman, the staff get to know you and you know them and they will go out of their way to provide a four-star experience for you." 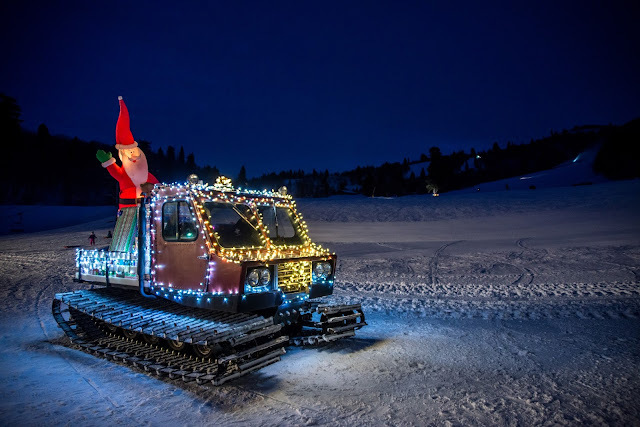 Now dubbed "The Christmas Hotel" by his eight-year-old granddaughter, the kids were initially concerned that Santa wouldn't be able to find them there. They were reassured though when they saw the fireplace and a four foot decorated Christmas tree in their room. After an "over the top" Christmas dinner, the family lingers in the luxuriantly-decorated library for family gift opening along with desserts: "The room is cozy, comfortable and the total ambience is like being at home with the family at Christmas except we don't have to clean up." At the end of each day, one of the things they like best is coming 'home' after all the outdoor exertion: "The best part of the whole experience whether skating, dog sleighing, skiing, or snowshoeing is coming back to the lobby of The Post Hotel, it's intimate, lots of warm wood, tea and deserts can be had in the lobby where you can sit and look at Mount Temple and realize how lucky you are to experience a great resort," Rod reflects. Here's the kind of snow to expect at Lake Louise Ski Resort, where fluffy powder, soft groomers, challenging bumps and wide open bowls punctuate the 145 trails. Right up to Dec 26, it is low on traffic while locals are still intent on Christmas shopping and cooking. I've skied there for 17 straight Christmases and I'm always amazed why so few people ski on the run-up to the hectic holidays. 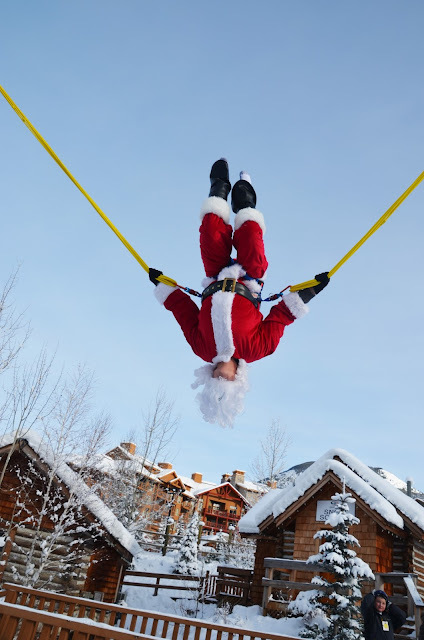 November and December are the best time of the winter to get in maximum vertical, get ski fitness restored for the season ahead and luxuriate in all the Christmas decorations and seasonal spirit. 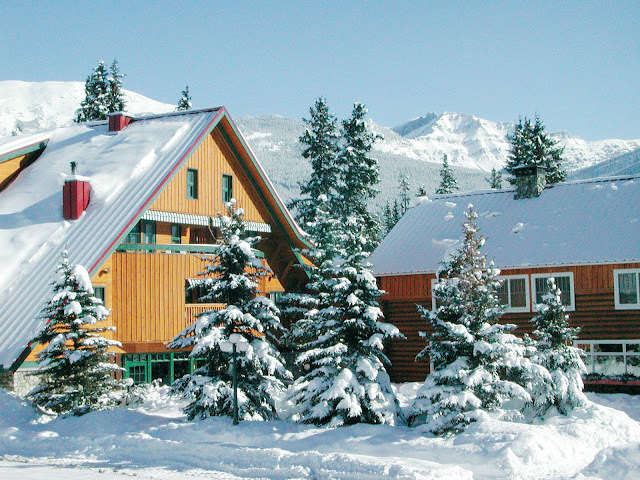 Sister resort, Sunshine Village is linked by ski bus, included within the SkiBig3 lift ticket. The first Canadian resort to open this season, the snow is all natural, thanks to an inventive snow-harvesting system. You'll notice the regimental fences at various points of the mountain. The snow deposited there by strong winds is used to replenish worn areas of the slopes - the ultimate recycling! - and the only snow guns used are on the ski out for the last run of the day down to the carpark. I got my first ski day of the season there last week on a breathtaking bluebird day. Great coverage everywhere! 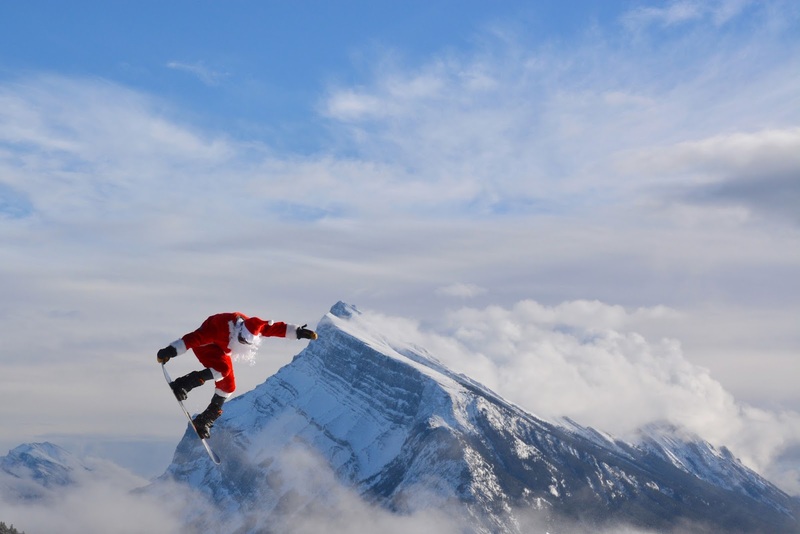 From Dec 26-Jan 2, little sister Mt Norquay just outside Banff is the perfect place to escape the holiday crowds. 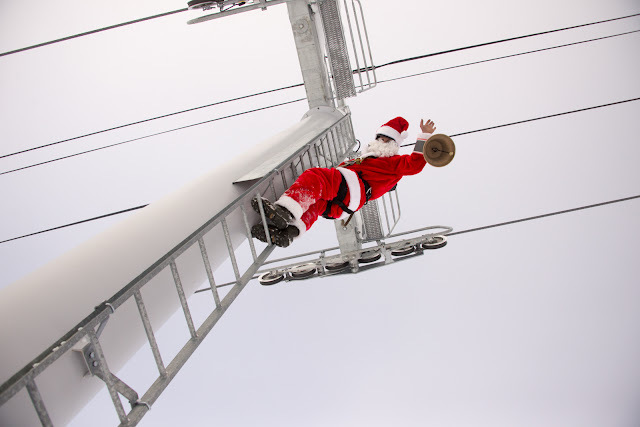 Get there early to scoot over to Mystic chairlift for some fast groomers before too many people arrive. And then over to the North American, an expert-only mountain which never gets too busy. Notch up six or seven gnarly descents and you'll have worked off the turkey dinner in no time. Hiking in winter in Canada? Yes! With the right layers and grippy footwear, it's very do-able on a clear day. Especially, here, at Johnston Canyon where the path is crisply cared for and cleared of snow regularly. Amazing photo opps - wear bright colours if you want to stand out against the surreal snowscape complete with phenomenal frozen waterfalls and river ice flows. Look out for hardy ice climbers when you get to the viewing platform as well as mule deer skitting through the forests on the way there. Bonus: No burly bears to bother you at this time of year!